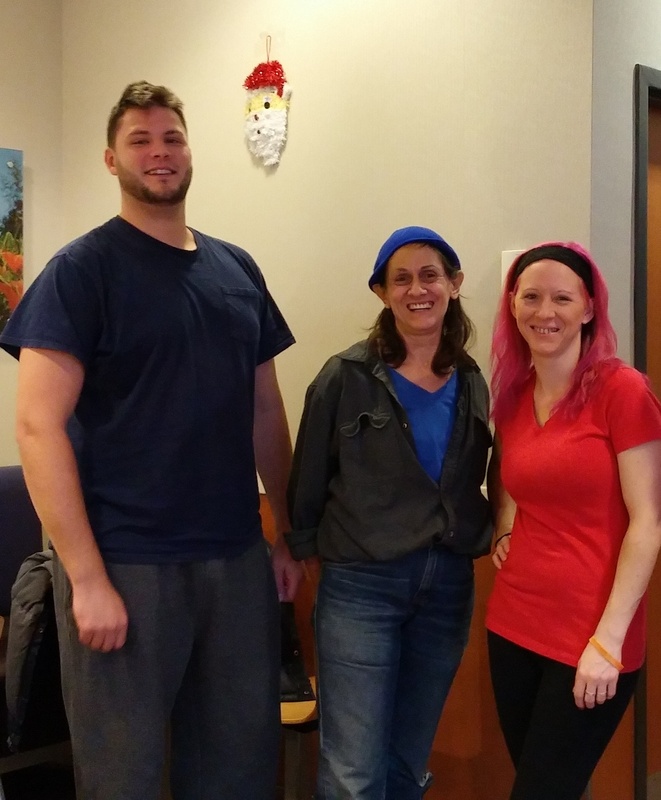 Team members from HAYS Cleaning, Inc. gathered very early this morning to plan some Christmas mischief! 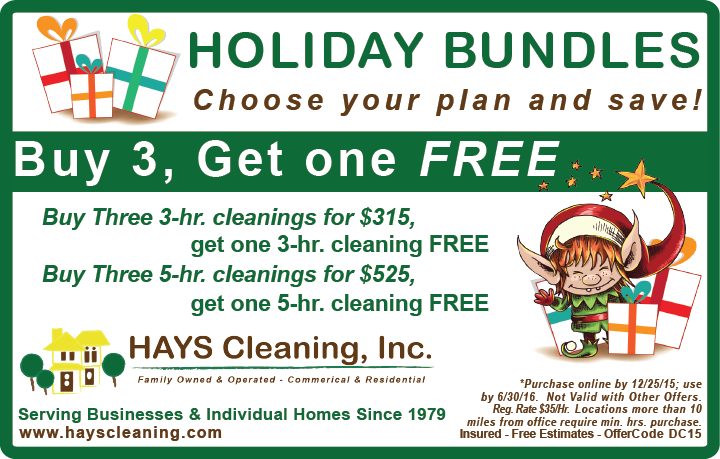 Be sure to check back starting December 8, 2014 for some Christmas magic from HAYS Cleaning! As we celebrate Flag Day, let’s take a few minutes to remember all of our Veterans and Military who keep this great country free! 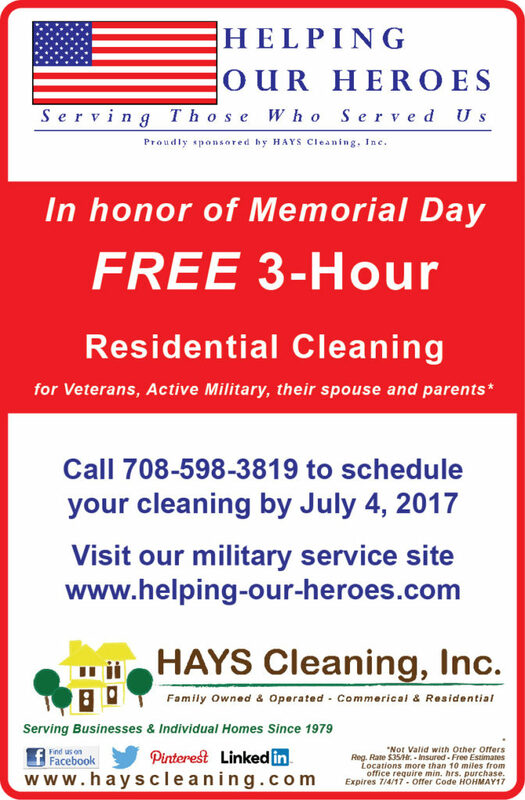 For all of our retired and active service men and women, we are extending our FREE 3-hour cleaning until the end of June! 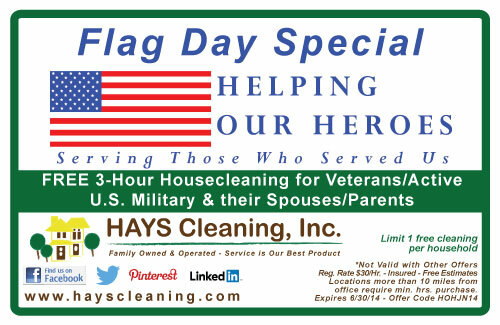 Call 708-598-3819 or email mary@hayscleaning.com to schedule your appointment. 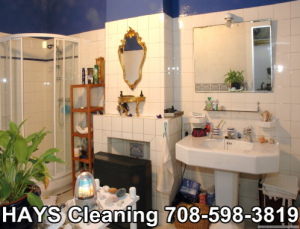 Clear your Bathroom of clutter. Gather all items that do not belong here. Return them to their proper places. Some boys dream bigger that others. Thank all military personal and your veterans too. 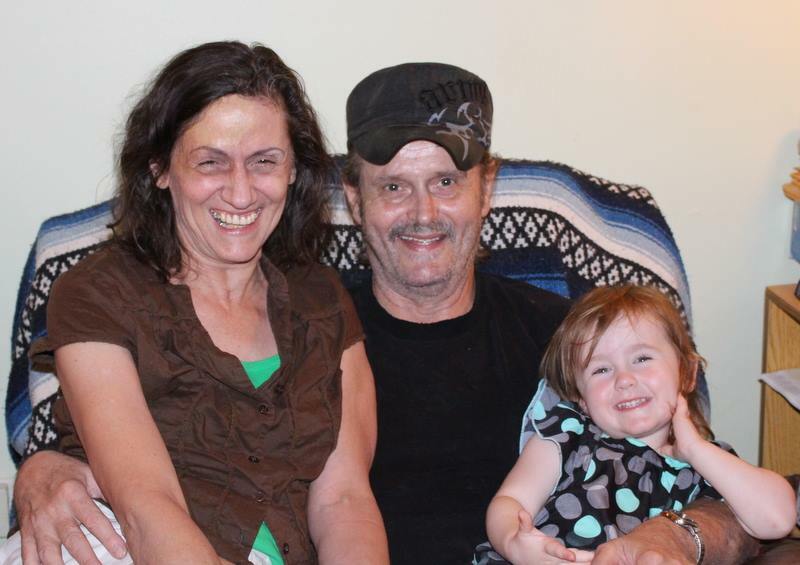 Mary and Art, with one of their granddaughters. 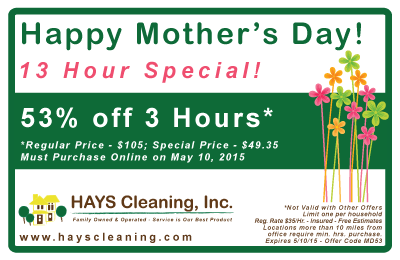 HAYS Cleaning is a family owned and operated business. The company likes to think of those who choose to work with them as “part of the family.” This article features an interview with Mary James, founder of HAYS Cleaning, Inc.
How did HAYS Cleaning come to be? 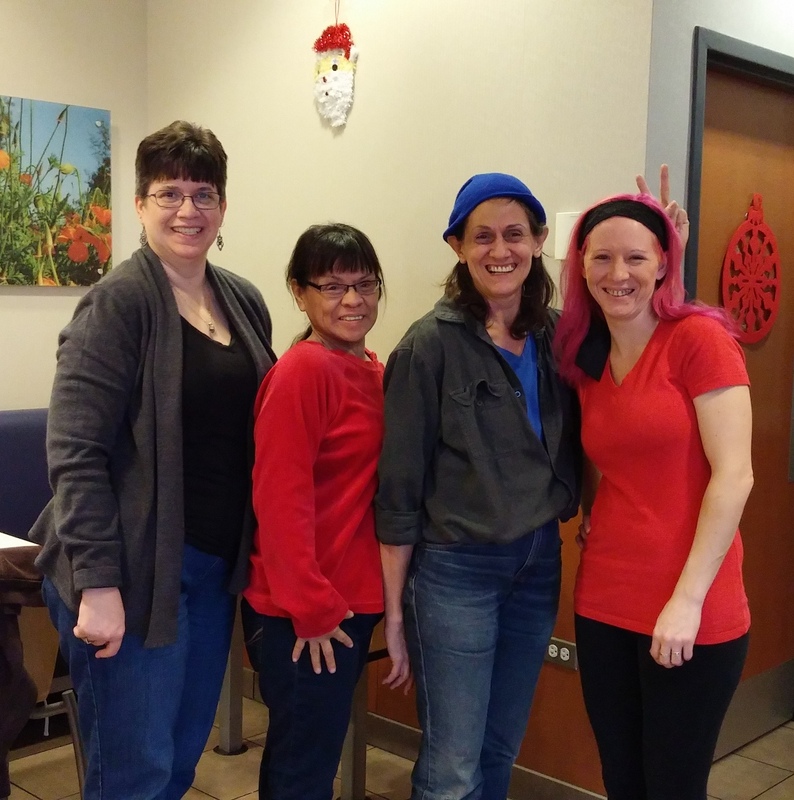 Mary: I started as just a single mom and I would do house cleaning and yard work. We became H-housework, A-and, Y-yard, S-service. 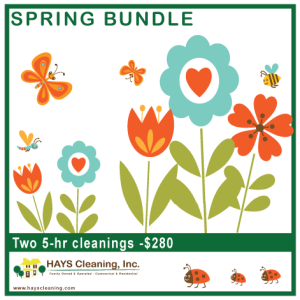 We discontinued the yard services in the 90’s as I found it difficult to continue to have the cost to replace plants that our crew “mistook for weeds.” We then took acronym and became HAYS Cleaning, Inc. in August of 2006. I built the company and then when I later remarried, I asked my husband, Art, to partner with me. We could not be where we are today without each other. God seems to have always given us enough work to put food on the table, clothes on our backs, a roof over our heads, and the ability to enjoy our career. God also seems to provide us with a good team of workers that are known to be “great”. 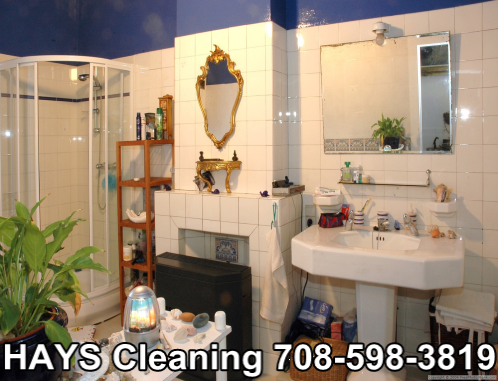 What is the best part about working with HAYS Cleaning? Mary: I like what I do. I have enjoyed that I have also lived my life abundantly. I get to be “Mom” too. 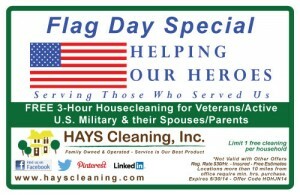 What has been your best experience while working with HAYS Cleaning? Mary: So many of the families that we have service have become our extended family. We have customers today that have been with us since the beginning, since 1979! What is your favorite cleaning tip? Mary: (laughing) I know a good cleaning company. They provide dependable, family oriented and flexible services. 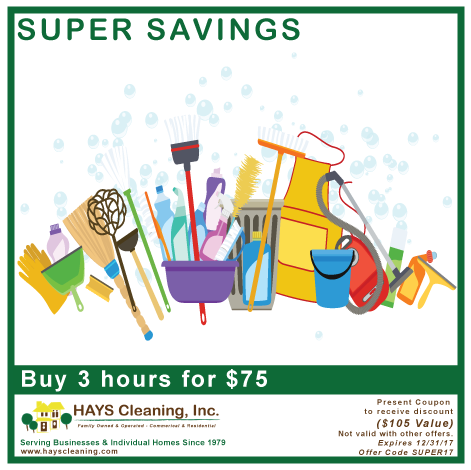 Call Mary at HAYS – 708-598-3819.